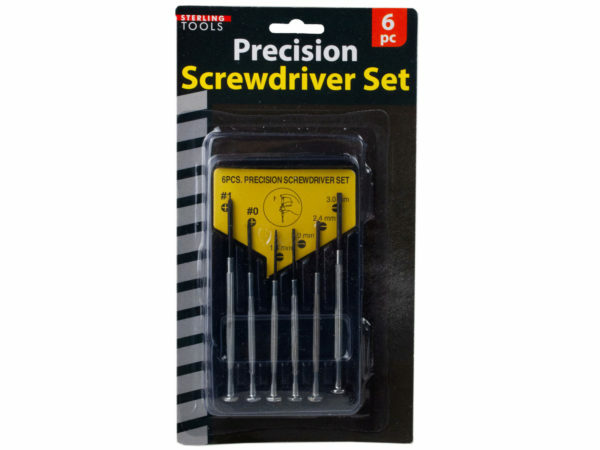 A perfect addition to any toolbox, this 6-piece Precision Screwdriver Set features swivel-head handles with bright plated shafts that are fluted for grip and hardened and tempered steel blades. 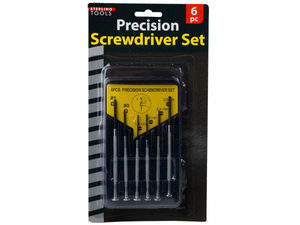 Set includes 6 screwdrivers: two Phillips - #0 and #1, three slotted - 1.4, 2.0, and 2.4 and 1 round tip tool. Comes packaged in a blister pack.